Have you ever eaten something while sitting on the toilet? Well, in this restaurant you literally sit on toilet seats and eat out of miniature toilet shaped bowls. This is such a funny restaurant! 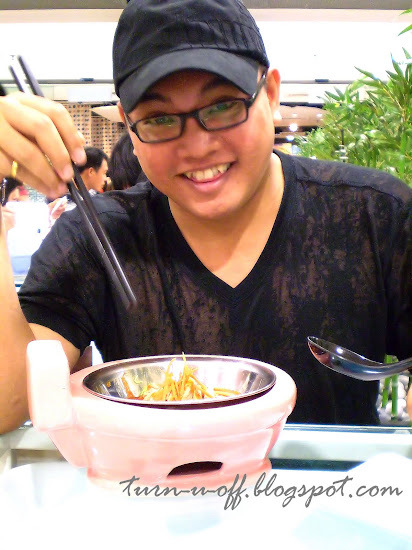 #2 T-Bowl (Toilet Bowl) concept restaurant @ Sungei Wang Plaza. 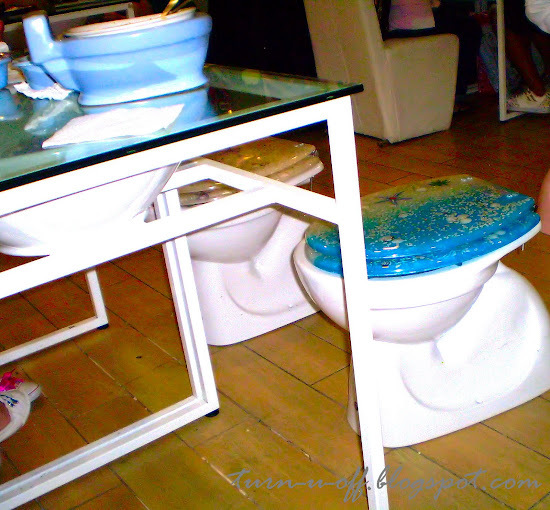 #3 This toilet themed restaurant attracts lots of people there! #6 The place was packed! Customers, however, flock to T-Bowl mainly for its quirky dining wares and interior decor. After God-knows-how-long, we finally got a table basin! #8 Eat or Pee or Poop? #9 Toilet bowl used as seat. #10 Basin used as dining table. 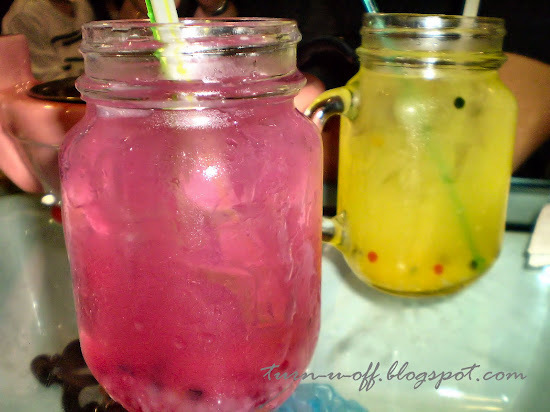 #11 Grape Mocktail & Mango Mocktail. #16 served in a mini toilet bowl. 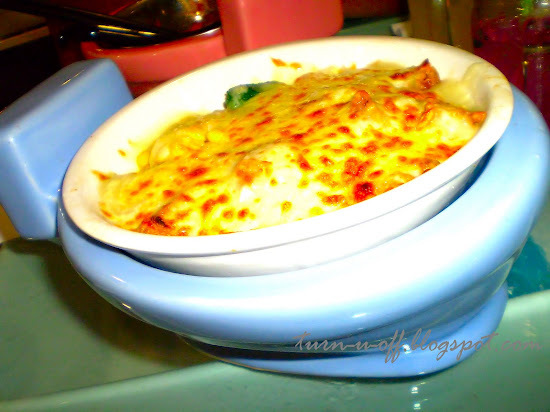 #18 Cheese Baked Rice with Chicken Chop. The food is just alright. Seriously, it's nothing to shout about. #19 Now, you can eat your lunch and lose your lunch all in the same place! Blech! 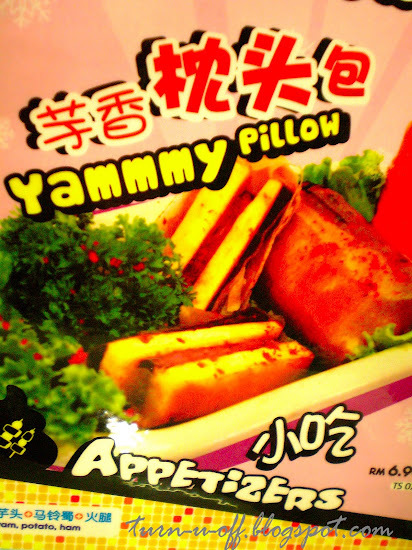 "Now, you can eat your lunch and lose your lunch all in the same place! Blech!" << LMAO!!! 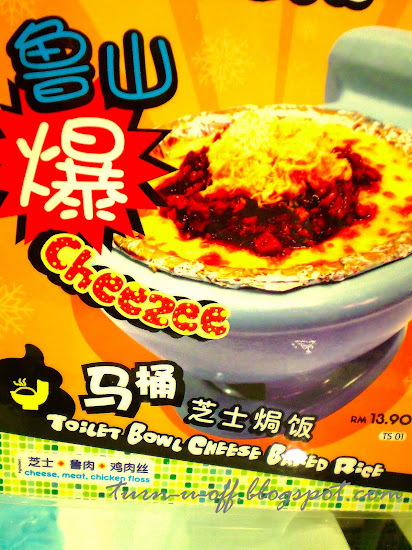 I've heard of this toilet concept restaurant when it opened in Japan.. I didn't know they opened up one here already!! LOL! 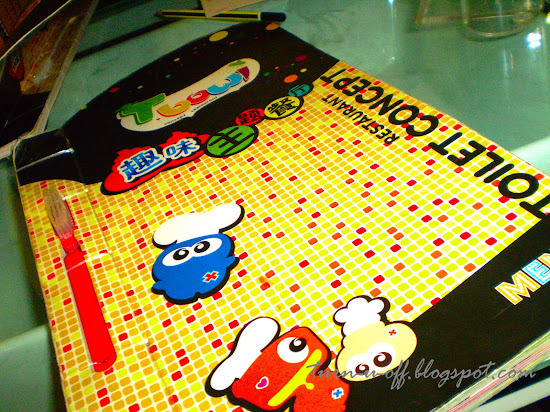 Thanks for sharing the pics, mon.. if I don't go to this place pun, at least i've seen how it looks like. 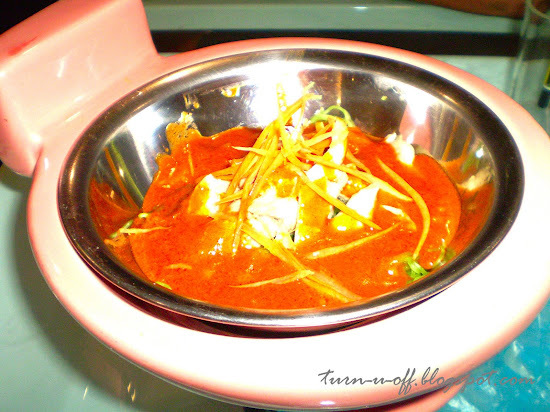 hahaha..
EEE me no want to eat in toilet bowl.. i dont think i will enjoy the experience here at all Mon! just woke up sweetie and straight head here.. no coffee yet lagi!! 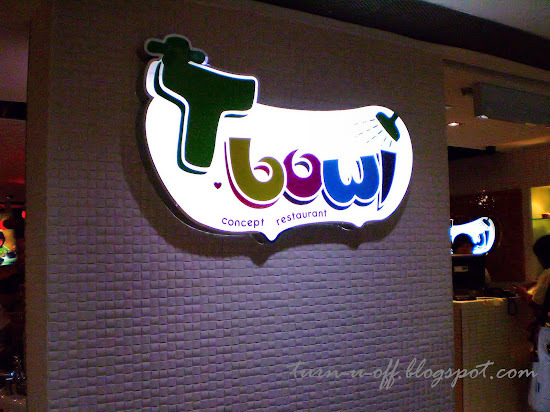 Hey, TBowl also has a branch here in Penang! Haha. That place is always fully packed! I like how the food being serve in the bowl! I checked the box and put my e-mail add plenty of times already..
i have been hearing about this t-bowl concept restaurant in taiwan and hk long time ago, and was hoping there's one in KL.. thanks for the info, i must go and try now, hehehehe!!! I did a post about this toilet bowl restoran some time in 2007 or was 2008... i oso lupa oredi. 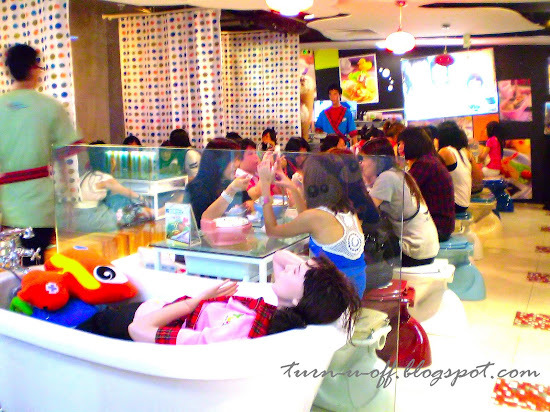 Looks cool, surely attracts customers kan. You didnt order the icecream in a toilet bowl, the one dat looks like poo??? LOL! hey is that Ralph with you...... ???? Ha ha ha. That is hilarious! And because you said that the foods don't deserve a shout out, then I don't want to try it all the more! Ha ha ha. yeah they've a branch in Penang oso! so, how's the food there? Hahaha! 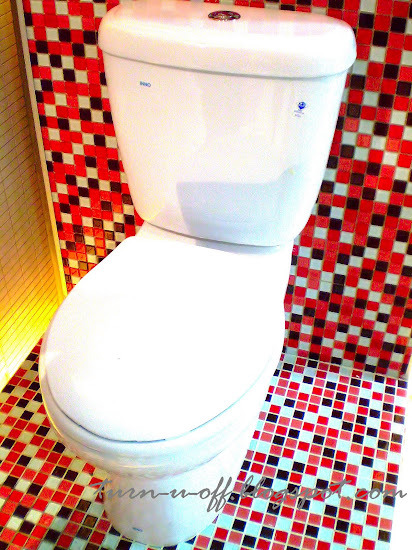 It really is quirky and you could not help but imagine what happens when you are in a toilet! Hekhekhek! 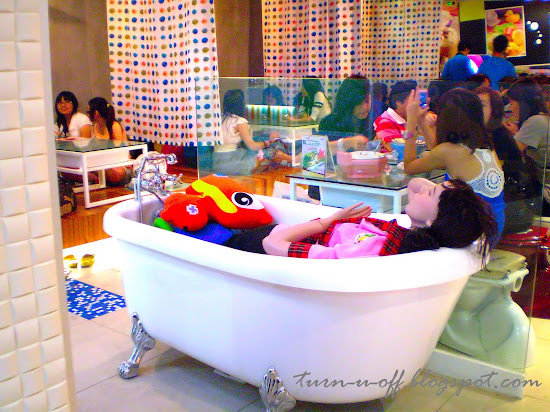 This toilet concept restaurant started in Taiwan, it has come to Malaysia! Yikes! 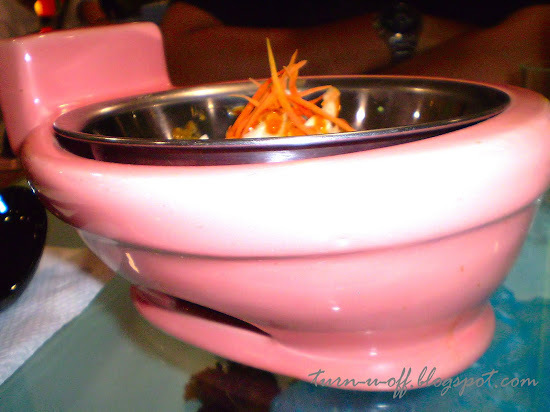 No way am I going to eat out of a toilet bowl! No way! Unless I'm paid a million bucks! LOL! What are these people thinking? So disgusting!!!!! 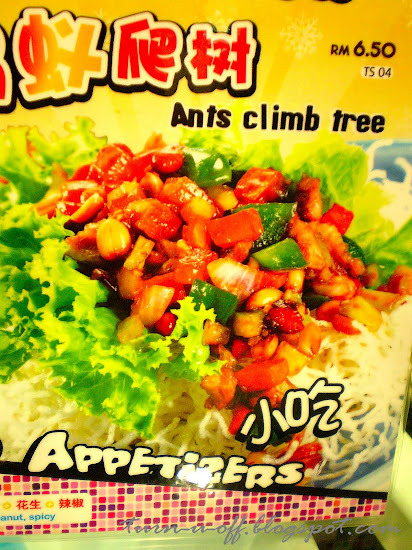 I will definitely lose my apetite there! So do they have a real toilet bowl inside the restaurant for customers to do big and small business? LOL! I so love this post and the place of course. Looks so interesting to visit. I am not sure though if I will be interested to sit on the bowls while eating. Might be!